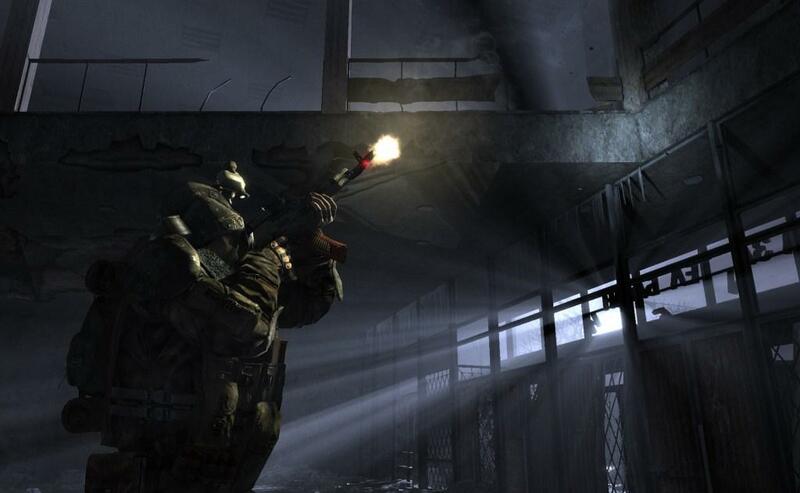 The FPS genre may be the most crowded genre in the gaming industry. FPS games are a dime a dozen and come out of literally every crack and crevice of the industry, with nearly every developer taking a crack at the market. While there are so many titles in the genre, there are only a handful that seem to set the bar for the rest. Titles such as Modern Warfare 1 & 2, the Battlefield series, and the Halo series are the benchmark titles that set the standard(s) for any and all (FPS) games that come after them. What about the games that don’t make it to those levels of popularity? Most of them get lost in the shuffle of the countless other FPS games flooding the store shelves. 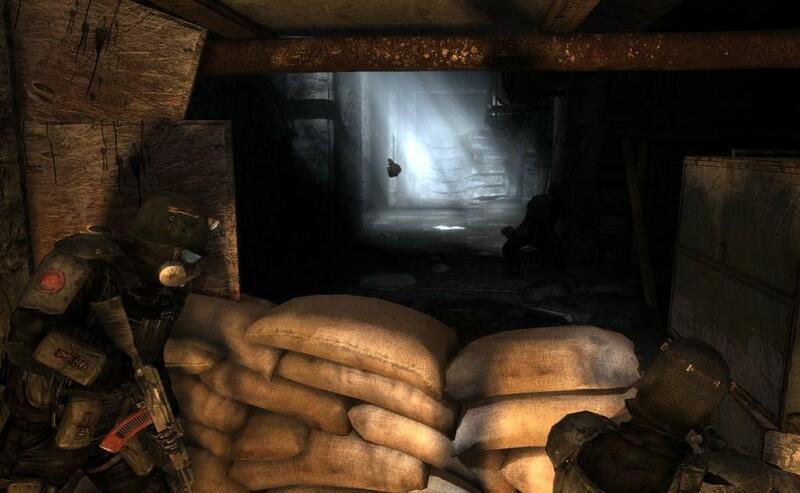 While Metro 2033 does not necessarily set the bar for the genre and earn a spot next to the elite titles, it manages to make its mark on the genre and the industry in general. It doesn’t do it guns a-blazing though… and I mean that both literally and figuratively. 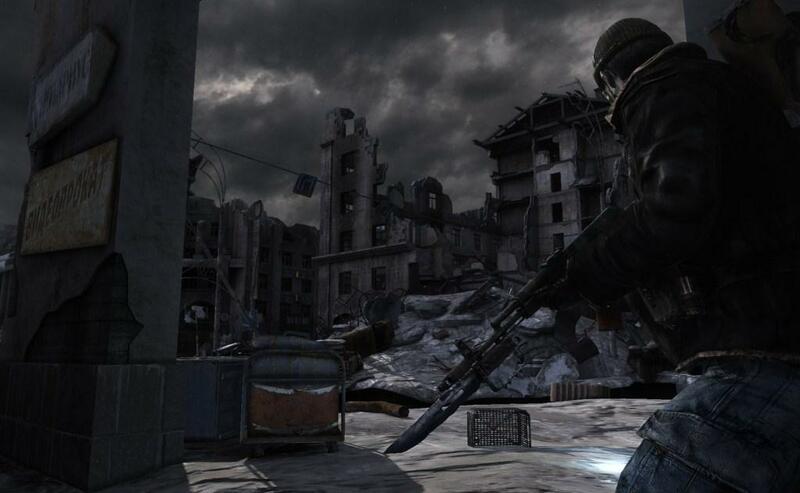 Metro 2033 is the freshman outing from Ukranian developer 4A Games, THQ, and is based on the Russian novel of the same name by Dmitry Glukhovsky. 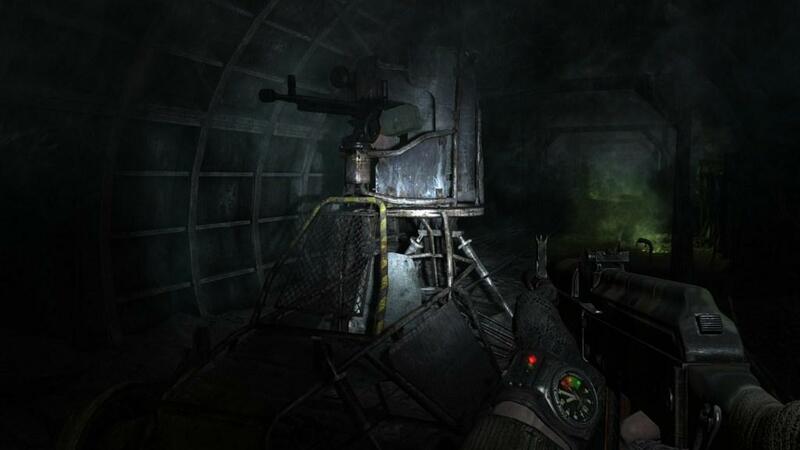 The game is technically an FPS in its design, but unlike other titles within the genre it is not about the gunplay as the classification would suggest. 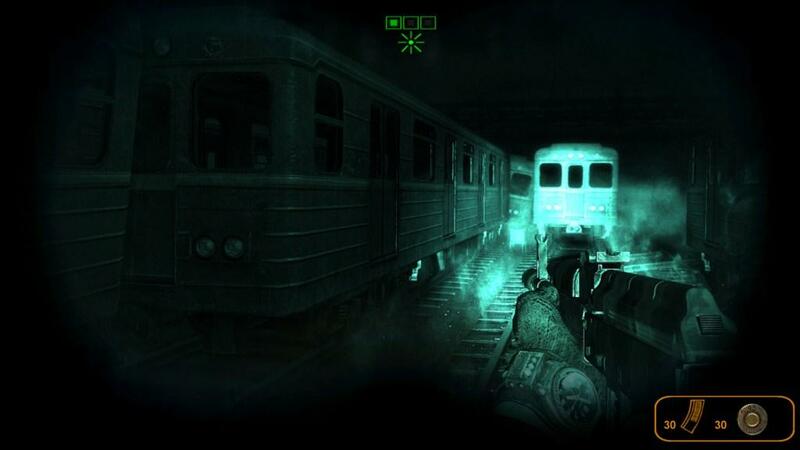 I think that it is better and far more accurate to describe Metro 2033 as an atmospheric narrative presented from a first person-shooter perspective. While you will spend 90% of your time staring down the barrel of a gun, that will be far from your priority and focus. You are not here to shoot everything that moves but rather to follow and experience an intelligent narrative that aims to keep you on the edge of your seat every step of the way. The game puts you in the role of Artyum, a young man who has grown up within the confines of the post-apocalyptic world of the Moscow metro system. Shortly after Artyum was born, the world faced complete nuclear destruction and the only survivors were those who happened to be underground within the Russian subway system. Those people were buried underground due to the aftermath up above and began to rebuild their societies within the confines of the Metro system. As time passed, each Metro station built up their own communities and formed their own city-states. As a result, Moscow now consists of independent network of underground cities hosted with each of its subway stations, each with their own “governments” and societies. Some stations prosper in the new world with structure and commerce while others are dark, dangerous outlands that lack government and are riddled with crime. In the face of a newfound “supernatural” threat facing the underground cities, you must lead Artyum on a journey through the various stations in order to ultimately save the remaining human race. Yes, it is a very bleak and dark story, but one that is told extremely well and creates an atmosphere that envelopes the player like few other games. 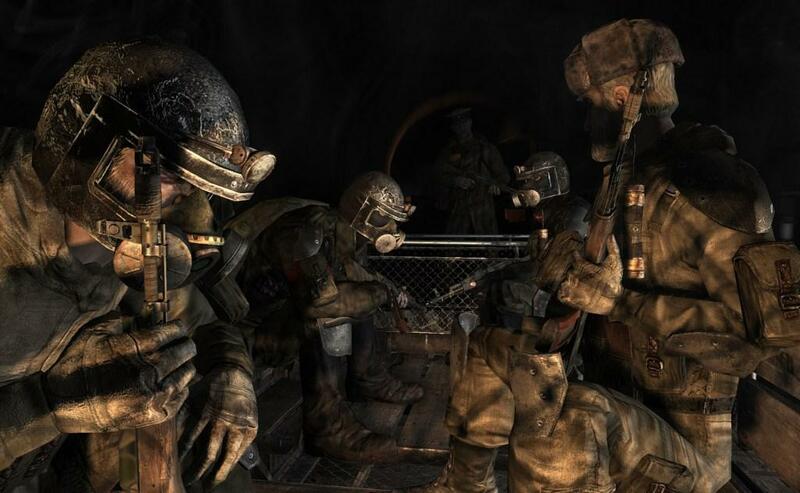 As you traverse the underground tunnels and eventually the barren remains of Moscow above ground, you will see first hand the devastation and fear that has overtaken what remains of society. You need to understand, before you play the game, that the focus of the game here is the story. 4A Games has set out to tell you Glukhovsky’s story, but they are simply presenting it to you in an interactive, video game form. 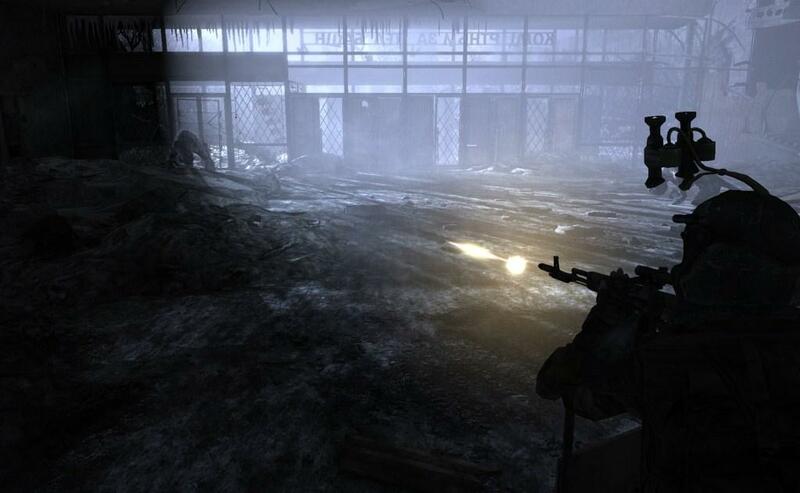 Metro 2033 consists of many FPS elements, as you would expect… but it does not focus on them. You will find the shooting mechanics and typical FPS “gameplay” elements to be lacking from what one would expect in a triple-A shooter. For example, the guns that you use are not very accurate and honestly, relatively weak. They are this way by design though. 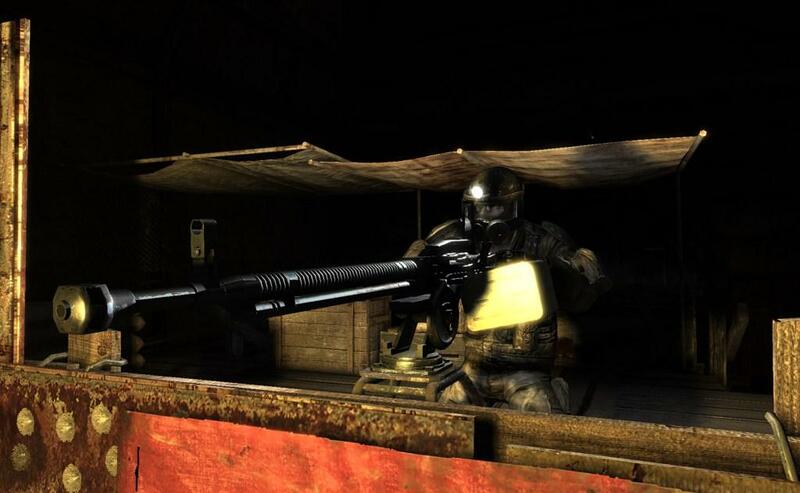 The game doesn’t strive to outfit you with a devastating arsenal with which to rain hell on the Metro, instead you are provided with the bare minimum necessary to survive… just as Artyum has been. Ammunition is scarce and a valuable commodity in the game. That isn’t to say that there isn’t enough to get you through… it is everywhere but you just have to find it. You will need to search every nook and cranny and loot every body that hits the floor, both friend and foe. In this bleak world, ammunition is not only a tool for survival, but it is also the accepted currency wherever you go. Only the best, “military grade” ammo is taken in exchange for goods though, so you will need to monitor what ammo you use and when. The other ammo that exists is referred to as dirty ammo and is the creation of the current society using various metals and scraps from the Metro. 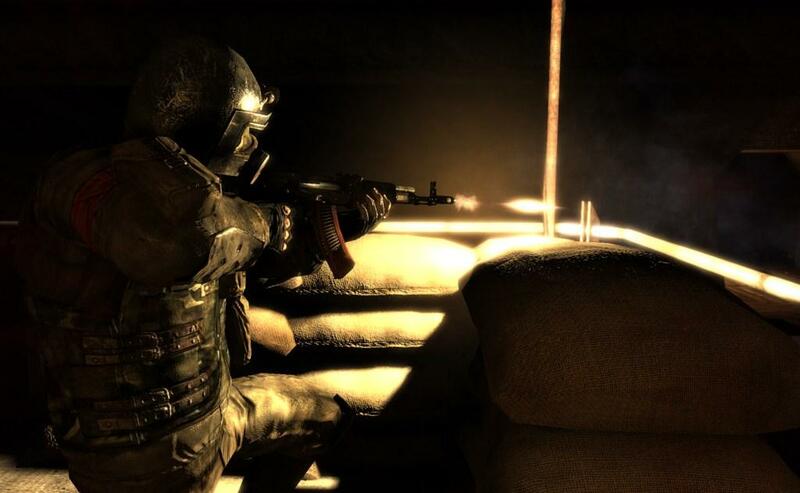 You will need to try to conserve as much of the clean and shiny bullets as possible in order to make your journey easier in the long run.While you are out there scavenging for bullets, you will also need to be mindful of the environment too as your world is still suffering from the fallout of a nuclear war. The most important piece of equipment in your possession would be that of your gas mask… but be mindful that they require filters and you will need to monitor your filters and change them as necessary. The same thing can be said for your flashlight / headlamp too; the Metro is a dark and dreary place and you will need your trusty light in order to make it through. The lamp is battery operated though and will wear down over time, requiring you to recharge it with the use of a hand crank as the quality of its performance decreases. All of this sounds like it would be an annoyance to deal with over the course of the game and is honestly what I expected to consider it, but in the end it only served to heighten the experience and engulf me deeper into the world of Metro 2033. You will experience all of these things while being presented a dark yet detailed world graphically. There are remnants of the world that existed before the disaster everywhere, as well as clues and hints of the promise that society can once again prosper. The environments may lack the ultra detailed texturing that other big budget titles do but they more than make up for it with the variety and character that is included. The Metro underworld can be a busy and bustling place, with children playing and rushing past you in the stations, to modern day bards sitting on the sides serenading the population with songs on an acoustic guitar. There is a ton to take in and the game actually encourages you to do so. You can get a lot from the game by just taking your time in each environment and looking around. This is where a bulk of the story can be obtained, just by surveying the world around you. I also found it interesting, and quite effective that the developer chose to use an extremely limited soundtrack for the game. There is no background music per se, just the occasional singer in the Metro intersection(s). This effect only heightens the feelings of desolation that the game strives to provide. Instead, the sound of the game focuses on both the world around you and the world that once was. That sounds weird to hear, but I don’t want to delve into the story details too much as it would give a lot away. Being that the entire purpose of this game is to tell a story, it would be detrimental to your experience if I were to divulge the details. All of these things have made Metro 2033 one of the hardest games that I have ever had to review. If I choose to focus on the gameplay and physical mechanics of the game, it will come across as a lackluster title that is not worth your time… but I consider the game to be far from that. 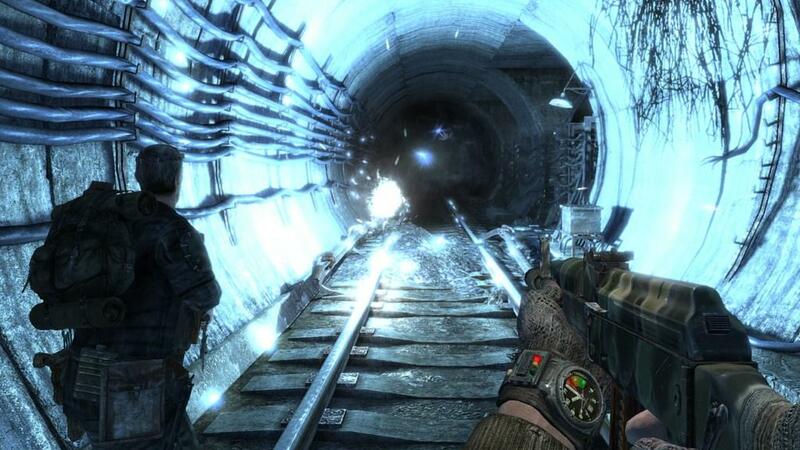 Metro provides an extremely different experience than most other games in today’s market. The feeling that I get from the game is very similar to what I felt when playing through the first BioShock. Much like that game, the game is average at its mechanical core, but it is the world and the story that boost it up to the next level. The story, not the gameplay is where is player is supposed to draw their entertainment, which seems odd for a video game. As odd as it is, I think that it works well. 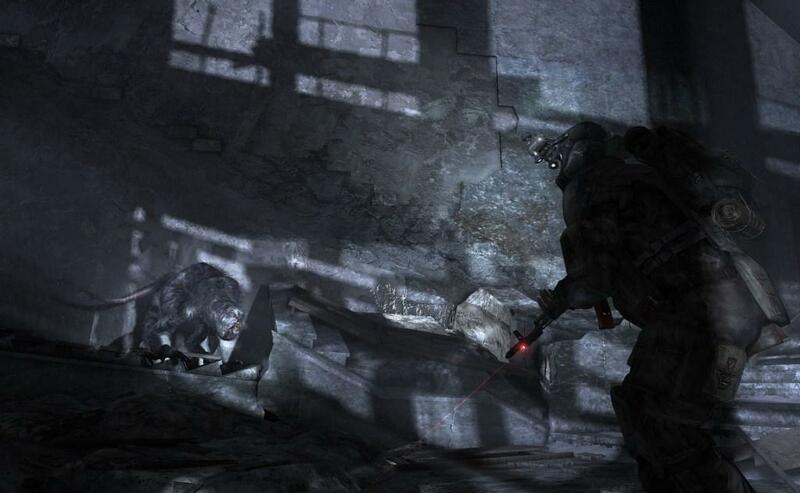 Metro 2033 is available for the Xbox 360 and PC platforms from 4A Games and THQ. A copy of the game was sent to us by the developer to be reviewed. Guess who's back!!! If you have been here before, you know the basics: lifelong gamer, father, and of course, former certified news monkey. I still consider myself all of those things, just maybe not in the grand scale that I once did. I’ve been blogging on the industry for more than decade now, in some form or another. It wasn't until I landed here at Gaming Nexus that I really dove in head first. Now, writing about games has become what I do for fun (and sometimes work) and something I intend on doing until the day I die (in some form or another). I'm a huge fan of just about everything you can interact with using a controller, no matter how old or new, good or bad. If you put it in front of me, I will play it (at least once).